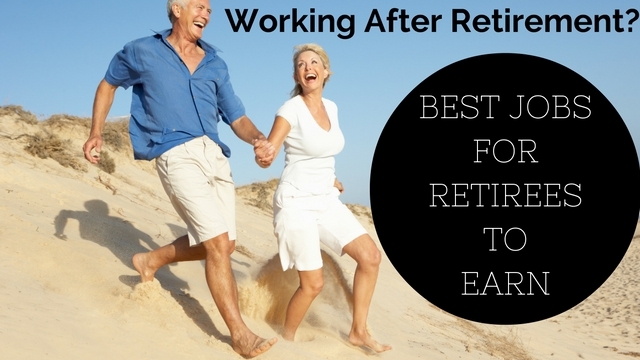 Retirement usually implies a time to relax after years of hard work, to travel, to pamper yourself, rediscover your interests and celebrate time with family, friends and grandchildren. However, circumstances, health issues, a bad investment decision, family needs and/ or marital problems may require many 60+ aged citizens to seek a source of regular income. Modernization and computerization have left many seniors unemployed, but those who are able to reach out of their comfort zone, use their network of family, friends, ex-colleagues and adapt to technological changes like embracing the social media and internet, to find lucrative part-time or self-employment prospects. In addition to the monetary benefits, seniors want to keep themselves active, try their hand at something they always wanted to do but never had the time for. Some may want to use their experience and expertise to benefit others as well and to keep themselves connected with the world socially by stimulating mental awareness. Online classes to develop a skill, programs and agencies that offer career counseling, attending workshops, job fairs and taking part in volunteer work may actually help them landing up with great opportunities. There is a certain retirement age for all the people working. Life after retirement can be planned accordingly to ones wish, some people return to work back, some try to seek employment whereas some people enjoy their after retirement days. The following mentioned are few career ideas and retirement tips to how to search for jobs for retired people and list of best retirement jobs for retired persons. The most attractive option after retirement, especially if you have always been an employee, is to be your own boss. You can put your lifelong skills and experience to start a small-scale business or your own retail store, such as a sports goods, mini-mart, a florist or library depending on your expertise and funds. You may invest from personal resources; borrow from reliable sources, a bank loan or government grants. For seniors with mobility or other health concerns, starting a home based business like making natural beauty products, decorative items, souvenirs, accessories, jewelry, paintings, cards or supplying home cooked food to offices or baked goods in schools, parties or events can be exciting as it might be something that they enjoy doing in their leisure time. Anything that interests you as a hobby can be turned into a profitable venture. An ideal and stimulating career option where seniors can offer their advice in finance, interior designing, landscaping, event management services and similar fields comes under consulting services. Such services offer flexible working hours, are less stressful and encourage creativity and independence. If you have the charm of making a trip memorable for tourists, enjoy travelling yourself and have knowledge of historical museums and monuments, local sight-seeing attractions and shopping areas, you might make a good tour guide and not only earn a good income but also meet new people. This is an appealing and stimulating way to spend your leisure time. Teaching arts and crafts, music, or being an academic tutor, teaching a foreign language or English, can fetch you a decent amount, keep you busy and connected. Online tutoring is also a great option for professionals seeking to teach Math and Sciences. Physical training like teaching yoga, aerobics, gym instructor, swimming instructor or perhaps becoming a football, basketball, tennis or cricket coach can keep you as fit as a fiddle and relaxed. A passive way to earn money with little hassle is to rent out a property that you own. You may just need to visit and check it out monthly, maintenance can be outsourced to a property management company and the rent can be deposited in your bank account directly. If you are living alone or have a room that you can share and rent out as a bed space apartment, or as a paying guest, you can get company and also a steady source of monthly income. If you provide food with accommodation services, you can get added income. If you have a car and have a good driving sense, you may offer to pick and drop people from their workplaces for a minimum wage. You can even do a number of shifts per day to increase your income. This way you may meet new faces, and while on the road, you can even stop to do your grocery shopping, visit a local park where you might get some exercise, catch up on old friends at your favorite coffee shop while you’re waiting. Freelance writing can be a very rewarding part-time job that can be done from home at leisure. If you are creative and have an aptitude for writing, you can gather all your ideas and experience to start your own blog or write e-books, sell them online or maybe even get them published and sell them to make money. With your knowledge and experience, you can write on a variety of topics. An excellent way to get involved and help others is to work in a non-profit organization. Most volunteer organizations are more than willing to give you a stipend if you are enthusiastic, dedicated and accommodating in your approach to contribute in whatever way you can. It can be spending quality time with children suffering from chronic disease, or giving company to an elderly, organizing a bake sale for the blind etc. A very convenient and easy option is to work in a local retail shop as a cashier, purchase manager, greeter etc. Big chain supermarkets usually have a lot of parttime jobs options during peak seasons. The experience may be fun as you have regular interaction with customers, and may even boost your expertise level if you are hired as a purchase manager. Remember, you may even choose to do more than one of these tasks depending upon your health and monetary requirement. But do enjoy whatever you do, as you deserve to reward yourself for years of hard work. So work at your own pace and convenience, value yourself and your achievements and put them to good use. Next articleWhat is the Difference Between a Resume and Portfolio?